Uber has completed the development of cargo drones. Head of Uber Advanced Technologies Erik Mayrhofer assured that the company will only work on the creation of passenger unmanned vehicles. The reasons for this decision are not reported. 2 years ago tests of heavy trucks with auto-management began to result in the American start-up Otto, which is part of the Uber taxi service. 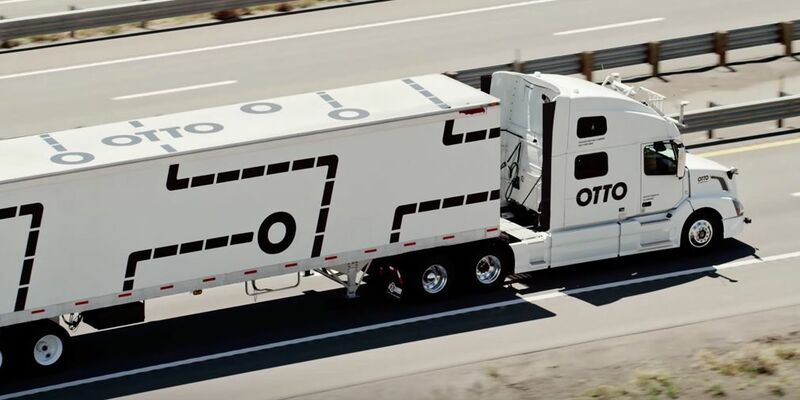 Then the Otto unmanned truck, based on a Volvo truck, delivered 50,000 cans of beer, overcoming more than 200 kilometers along the way of Fort Collins-Colorado Springs. A little later, Waymo, which creates stand-alone technology, accused Uber of Otto of stolen technologies for unmanned vehicles. It was reported that one of the engineers before leaving Google stole about 14 thousand files that contained data on the development of auto technology. The company has made accusations about using such information to develop an unmanned system in Otto.